In the face of rocket and mortar fire, arson, and attempted infiltrations along Gaza border, religious families moving to southern Kibbutz. While the Israeli towns near the border with Gaza face daily threats from mortar and rocket attacks, arsons caused by “terror kites” dropping incendiary bombs, and even the constant threat of terrorist infiltration from the nearby border with Gaza, the community closest to the border continues to grow, welcoming a wave of new incoming families. 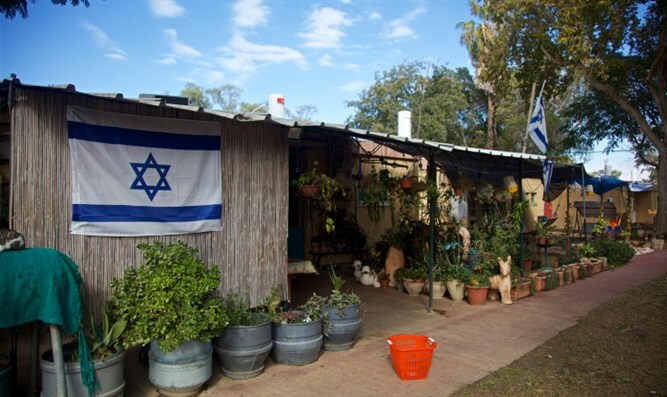 Kibbutz Kerem Shalom, which was originally established in 1967 before being abandoned in the 1990s and then reestablished in 2001, is the closest Israeli town to the Gaza Strip, with just 360 feet separating it from the Hamas-ruled coastal enclave. The town is still small, with just over 100 residents in 2016, but is growing despite its proximity to Gaza. The kibbutz recently voted to become a mixed community, welcoming religious families to what was initially an exclusively secular town. In the midst of the ongoing security situation along the Gaza border, including the mass-infiltration attempts by rioters into Israel, seven new families are slated to move into Kerem Shalom, including five religious families from across Israel, Israel Hayom reported. “We wanted to join a community that is a mix of religious and secular people,” said Geulah Rebi, a resident of Kiryat Arba who with her husband David and their five children will be moving to Kerem Shalom this summer. Yaakov Lielienthali, who will be moving to Kerem Shalom with his wife and one-year-old daughter, said the recent escalation in the area never made them question their decision. The recent renovation of the synagogue in the kibbutz brought with it a religious community that has found its place in the area as well. The synagogue was renovated with the generous help of the Moskowitz family from Miami.